The red accent plates on the Nimaido Samurai Armor (C003) where used to represent honor and valor. Damyo from some clans would recognize the honor and valor of their samurai by having plates from their armor, lacquered in red. This suite is hand made using the same methods armor craftsman used 500 plus years ago; during the Sengoku (Warring State) period. These suites feature the Yukinoshita-Do style, which utilize large solid horizontal plates around the torso, offering maximum protection and was the preferred style of most samurai of this period. 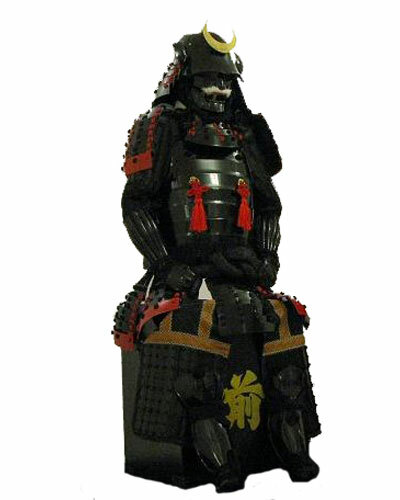 With incorporating all of the elements of traditional Japanese Samurai armor of this period, with modern day tools, the craftsman at the Fenglinhanjia Armory have successfully forged the most authentic Samurai armor in today's market at a very affordable price.